Happy Thursday! I thought it would be nice to revisit a post that I wrote about Topshop makeup when I was new to the line and decided to go on a splurge and write a review about their beauty products. I hope you enjoy it! I have been quite curious about Topshop make up for quite a while now. As I would often stare at the $13.00 nail polish (more expensive than 0PI) and the $16.00 eyeliner (a dollar cheaper than M.A.C) I couldn’t help but wonder whether it is possible for a store that carries fabulous clothing to also carry fabulous makeup? In the past the high price range always stirred me away, but when I discovered that Topshop was having a big sale- up to 50% off, I saw this as my opportunity to pick up a few items. The Topshop eyeliner I purchased was pretty good. Although it did bleed a bit, it stayed on my water line and lash line for the whole day. For $3.00 on sale from I thought it was a good purchase. The lip liner did a good job. 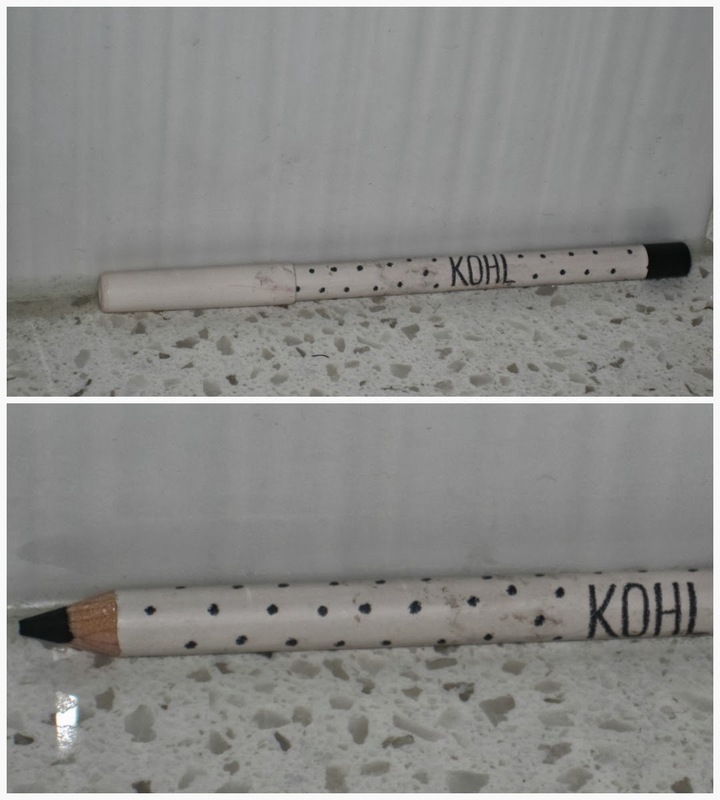 I used it as a base for my red lipstick and it lasted for a really long time. Bravo! 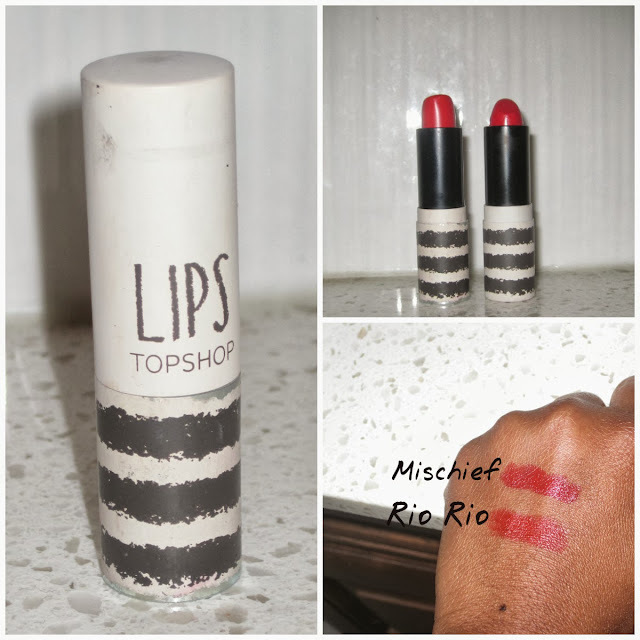 This Topshop lipstick is amazing and has become one of my favorite lipsticks to wear everyday. I love it! I think I'm having another Tom Cruise moment. The color is vibrant (red) yet not dramatic so you can wear it out and about to run errands and even in the office. I also find that this lipstick lasts quite long and has a nice fruity smell. This lipstick is a really lovely red-organge color that will look good on all types of skin complexions. 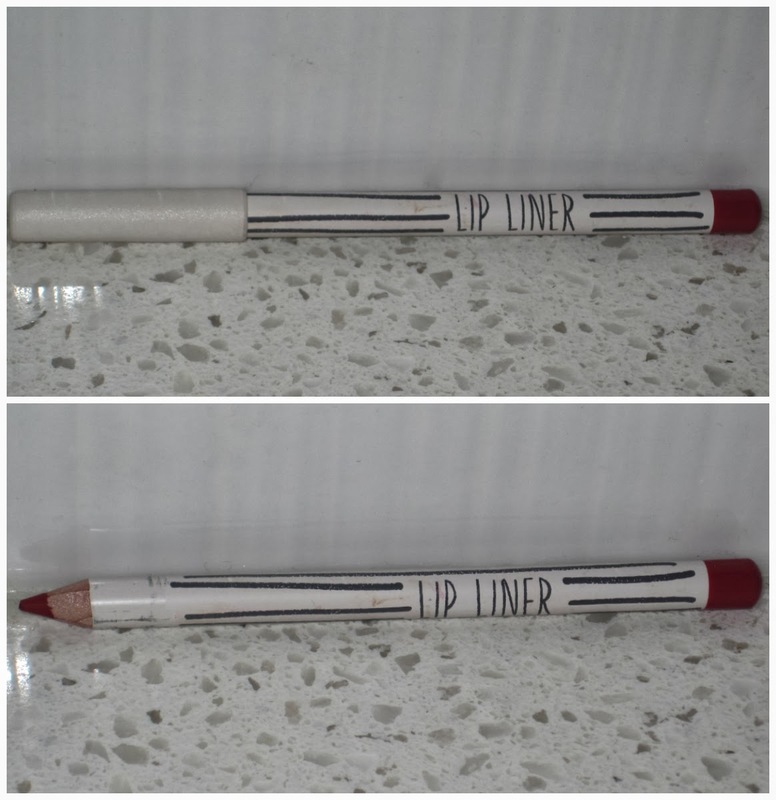 Although, the lipstick goes on quite smooth, it is a bit more matte than Mischief so it is best that you moisturize before applying the lipstick on or it can come out a bit choppy- which isn’t too pretty. Similarly to the lipstick discussed previously, Rio Rio lasts for quite a long time and has a nice fruity scent. It's also important to note that the packaging of the lipstick is also quite nice and really represents Tophops unique style/brand. The final verdict: I think the lipsticks and lip liner were pretty good quality (even at full price), but if your interested in purchasing Topshops eyeliner its best to wait for it to go on sale. Hopefully this post was helpful to those who are interested in venturing out into the Top Shop beauty sphere! I hope you liked my post today! Feel free to leave a comment. You can also follow me on twitter by clicking here!